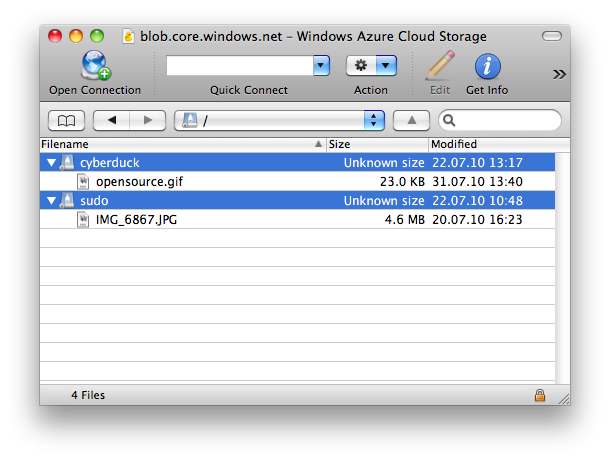 Scheduled for later release, Windows Azure joins the list of supported cloud storage providers in Cyberduck. Read on the wiki how to enable the option to connect to your account with the latest snapshot build of Cyberduck. The latest snapshot builds of Cyberduck have improved performance and interoperability with thirdparty S3 cloud storage providers such as Dunkel Cloud Storage and Eucalyptus Walrus implementations. Let me know if you run your own cloud storage and run into interopability issues with Cyberduck. We are currently in a phase of ticket driven development trying to squash out as many as possible bugs for the upcoming 3.6 release. The statistics don’t look bad at all. 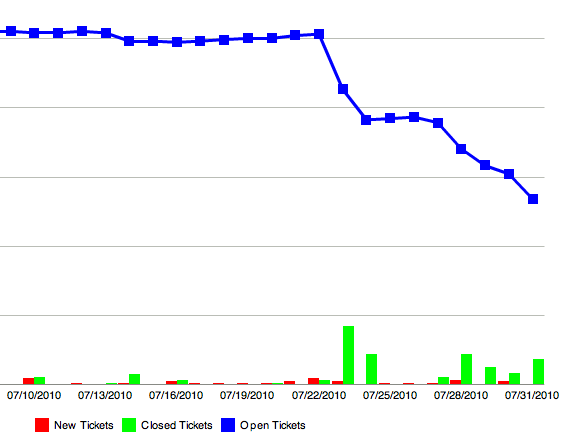 Update:As of November 29 we are now at a new record low level of 77 tickets of which 20 issues are defects including the new reported for Cyberduck for Windows.